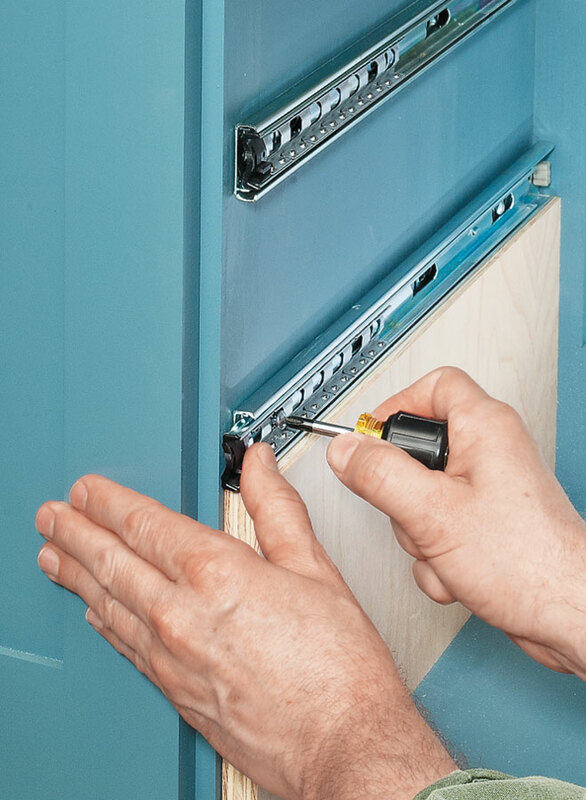 Organize and store your power and hand tools in style with this classic cabinet design. 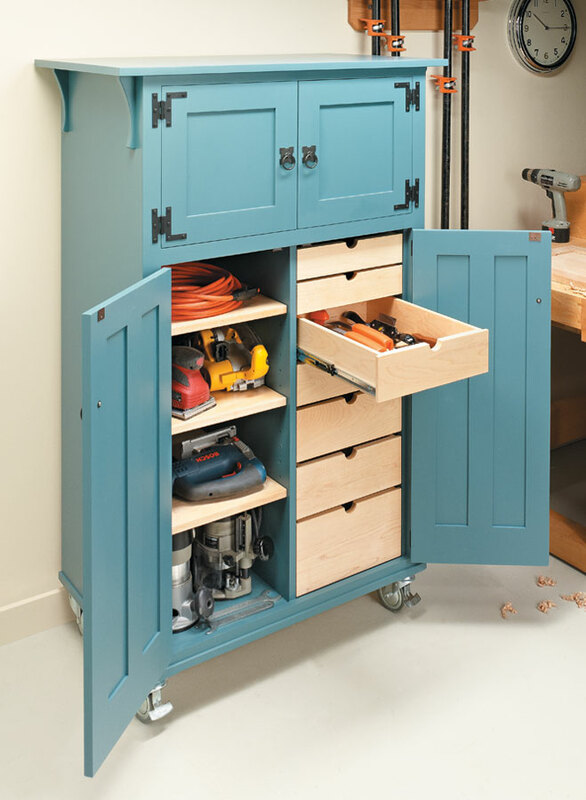 This tool chest is packed full of storage options, including a bank of drawers and adjustable shelves, all inside a classic, “country Craftsman” cabinet that looks worthy of storing your most-prized tools. 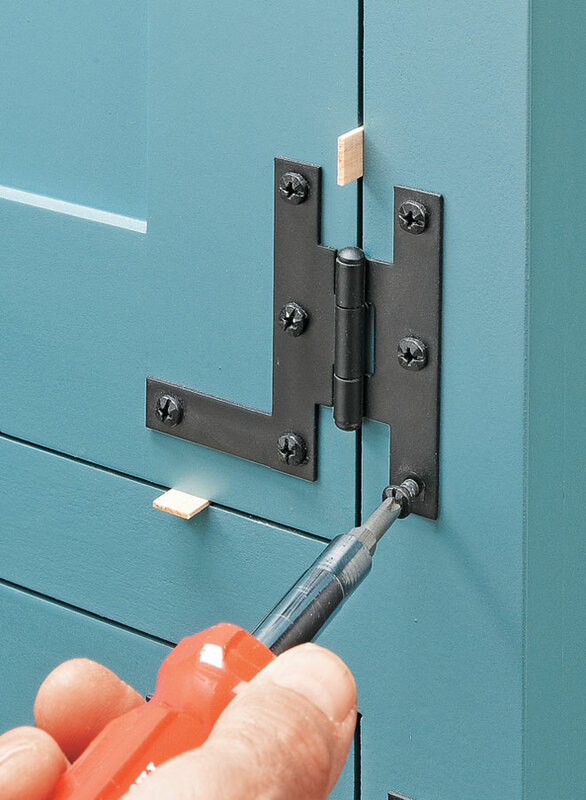 The heavy-duty locking casters make it easy to keep your tools at hand wherever you need them. The best part is, the woodworking is all pretty straightforward. 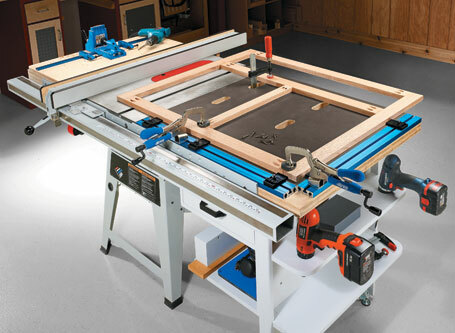 Turn an ordinary contractor’s-style table saw into a versatile joinery, assembly, clamping, and routing station. 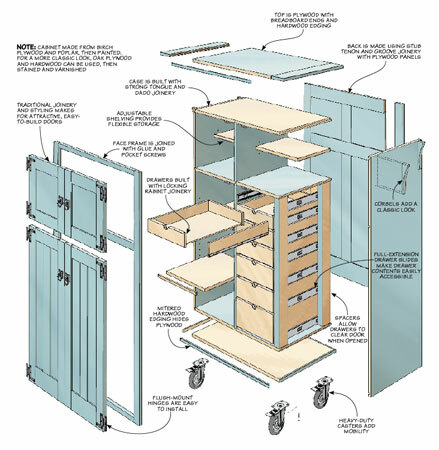 Have some scrap plywood and an empty bit of wall space? 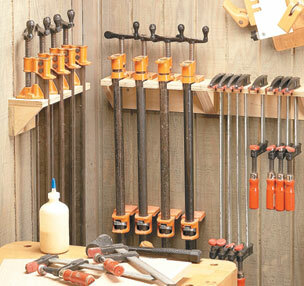 That's all you need to get your clamps organized. 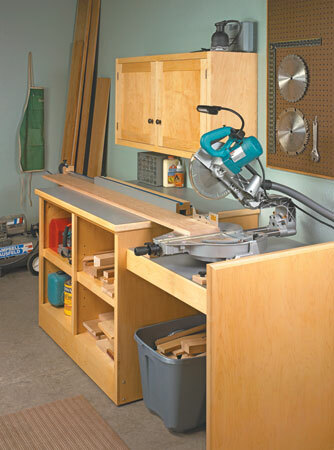 With plenty of storage and a fence that extends to 8', this saw station has it all.